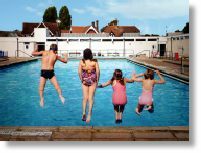 Built in 1934, the Ware Priory Lido is a lovely outdoor pool, which is heated to a minimum of 80°F. It is open seasonally, usually from mid May to early September. Fully qualified RLSS Pool Lifeguards and a First Aider are on duty at all times. Situated in the grounds of Ware Priory and part of the Priory Trust (Reg. Charity No. 273022), the Lido comprises of a 30m main pool and a teaching pool. There is also a small toddler play area. Seating and grass areas, where swimm ers and spectators can happily sunbathe and eat picnics, surround the pools. Sun loungers are also available for a small fee. The Lido has indoor changing rooms, toilets and showers. A refreshment kiosk, with access from both the Lido and the neighbouring Priory park, offers a selection of hot & cold food and drinks, confectionery and of course, ice cream. There will be special opening arrangements and events. The Lido is in Priory Street, Ware, beside the Priory park and has free parking for approximately 10 cars (and a cycle rack). Alternative pay and display car parks can be found in Priory Street, or in Burgage Lane (known as the ‘Library’ car park), off Ware High Street. Limited ‘on street’ parking is available at the weekend. 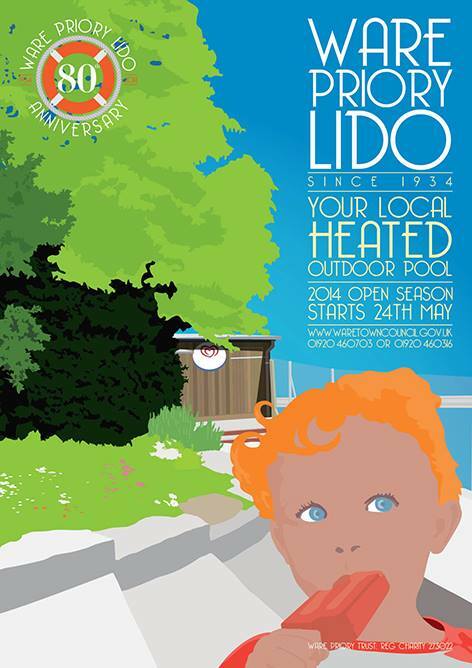 Friends of Ware Lido (FOWL)is a group for people who love to use Ware Priory Lido and who are keen that it should continue as amenity for all in the area.